Welcome to the Cajun Coast! A dash of history, a cup of natural beauty, seasoned generously with the spice of new things to see and do-you'll sample all this and more in St. Mary Parish. We're lucky enough to enjoy life on the Cajun Coast every day. That's why we love to welcome visitors to share in the fun. Whether you stay a week or a weekend, you'll find we're the perfect place to enjoy part of any trip to Louisiana. 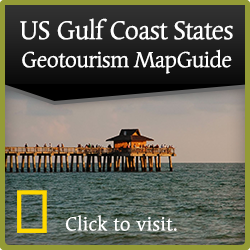 On the Cajun Coast you can wake up to coffee on the bayou as the sun rises over the cypress and moss-draped live oaks-celebrate our culture and traditions with food, fun and music at 16 festivals, some cited as among the best in the nation-stroll a 19th century boulevard of cast iron street lamps and moss-covered oaks in the heart of a community with over 400 buildings on the National Register. Kick back and relax after you've kicked up your heels on Bourbon Street in New Orleans, only 90 minutes away. The Cajun Coast is a sampler of everything Louisiana offers, in a friendly, relaxed atmosphere that's the heart of Cajun hospitality. Explore the exotic beauty of the Atchafalaya on a swamp tour. Visit our antebellum homes, plantations and historic communities. Explore our museums. Try your luck at the casino. Or play a round of golf at one of the newest additions to the Audubon Golf Trail-The Atchafalaya at Idlewild. The perfect place to start your Louisiana adventure is right here in St. Mary Parish. We're 90 minutes or less from New Orleans, Baton Rouge or Lafayette. Come to the Cajun Coast and immerse yourself in what National Geographic called this "hauntingly beautiful land" - for a taste of the real Louisiana.